It’s Time for Action and We Have a Plan. 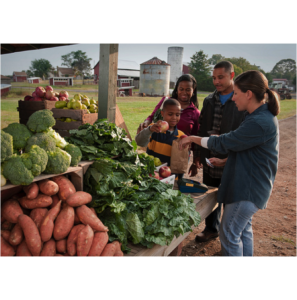 Organizations who feed the hungry need to provide more healthy food to meet the growing need. Cornucopia helps them achieve it through facilitating the transportation of food through linkages established between sources (i.e. farmers, grocery stores, etc.) and emergency food providers (i.e. food banks, Meals on Wheels, etc.) and preventing the 40% of wasted food by getting it to those who are food-insecure. They are our neighbors – the working poor. Hunger is not about character; it’s the lack of cash, the lack of full-time jobs, the lack of financial security that now affects 46% of our population. 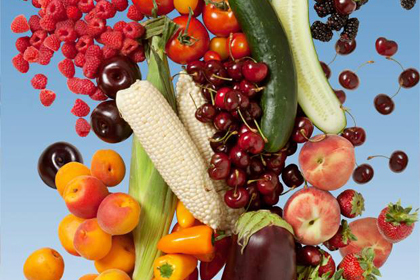 You have fruit trees or a garden with more produce than your family can eat and wish to donate it. 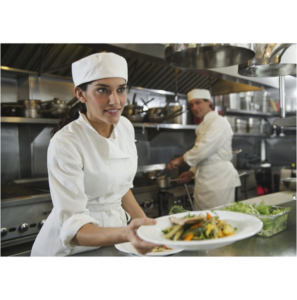 Tell your friends/network about the Food Recovery Program and how they can help. You can make a tax-deductible donation to Cornucopia to continue this valuable program. Give your time as valuable Volunteer and make a positive impact! You have edible food that won’t sell due to cosmetic flaws. You have produce too aged to sell. You have extra produce you wish to contribute. You have fresh produce that must be discarded. You have pre-cooked foods that must be discarded. Foods with expiration dates must be discarded. You need to clear fresh produce or packaged food from the shelves. Receive a mistaken food shipment that you need to dispose of. Cornucopia, partnered with SEDI (Sustainable Economic Development Initiative of Northern Arizona) for the Verde Valley and funded by Arizona Community Foundation of Yavapai County for the Quad Cities, has launched a Food Recovery Program to reduce food waste by farmers, grocery stores, restaurants, and facilities with central kitchens by transferring food to emergency food providers and residential programs in the Verde Valley and Quad City Areas. 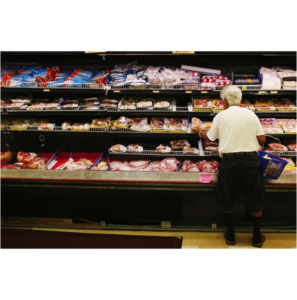 EPA studies show that America’s food system wastes 40% of the food it produces. 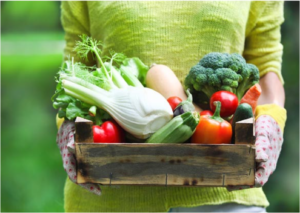 The Yavapai County Food System Action Plan identifies no food recovery networks in the county, just informal arrangements made between food assistance programs and some grocery stores and restaurants. 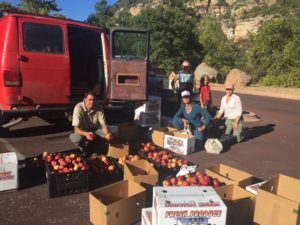 SEDI contracted with cornucopia in January 2017 to establish a pilot project food recovery network in the Verde Valley. 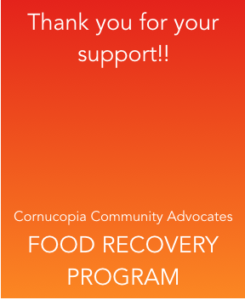 The strong support of this pilot project lead Cornucopia to create a second food recovery network in the Quad City area now funded by Arizona Community Foundation of Yavapai County. The Program had it’s soft launch earlier in the year, and now staffed and funded for the immediate future we have rocketed forward, having established 5 link agreements between sources (commercial food donors) and emergency food recipients (food banks) saving almost 400 lbs of perfectly good food that would have been wasted. We are very pleased with these early results and look to successful program growth that has strong potential to be embraced worldwide. Congress has plans and votes to reduce the federal SNAP food assistance program by converting it to block grants to states. Our county alone currently has 12,000 SNAP participants. It’s likely that 10% of them will be dropped from SNAP within a year or two due to federal changes, which means that 1,200 or more food-insecure children and adults will have to rely on local food banks, etc. that most likely will not have a greater supply of food to accommodate the growth of those in need. Cornucopia offers that greater supply of local food through food waste recovery to meet the anticipated reduction in SNAP before it creates a crisis. 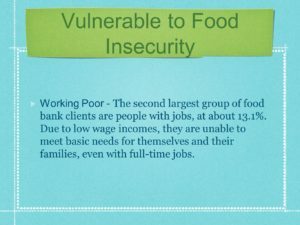 The Arizonans Preventing Hunger Action Plan developed by the Hunger Advisory Council of DES defines the food-insecure population as households with income at 185% of the federal poverty level. This definition is based on the finding that for several years 46% of Arizona households are “financially-insecure” – individuals and families living from paycheck to paycheck in debt with no savings. This critical assessment of financial-insecurity due to several causative factors requires hunger prevention efforts to focus on 40% of the population – 2.7 million person in Arizona and 80,000 persons in Yavapai County. With federal government food programs facing cuts from Congress, reducing food waste and transferring edible food to local food assistance programs makes sense.